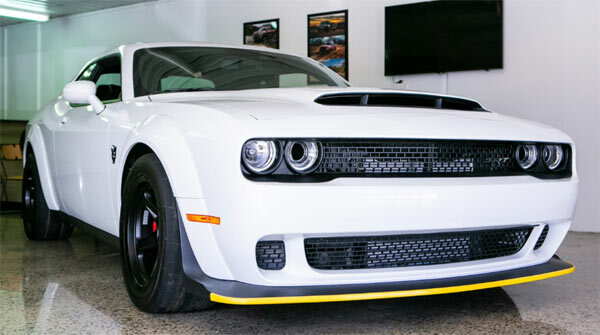 Apparently, the last production Dodge Challenger SRT Demon is now for sale in Australia – white and with a VIN number ending 3300. 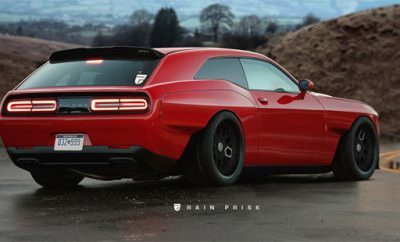 The problem is the official last production Dodge Demon was sold at Barrett-Jackson last year with the color Viper Red and a VIN ending 3314. At the time of writing, the car is still for sale on carsales.com.au for $450,000 Australian dollars. 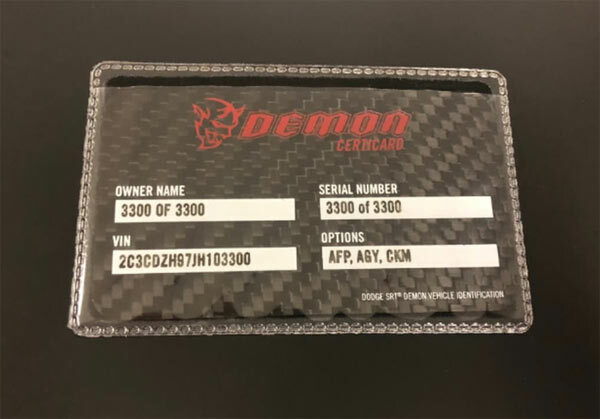 The car comes with the Demon crate, VIN number and official plaque stating the car as number 3300 of 3300. 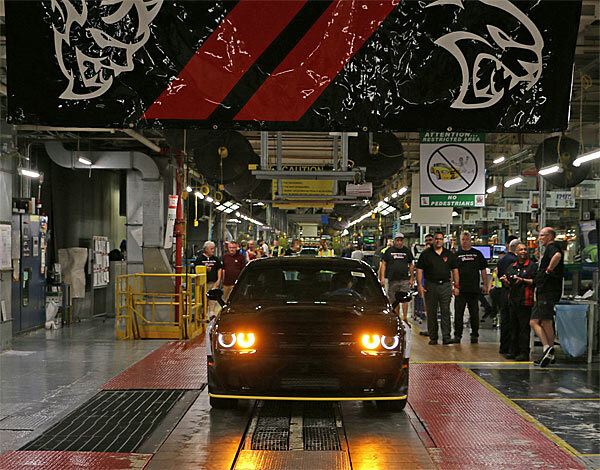 The official line is thus, the white Dodge Demon currently being sold in Australia isn’t the last production Dodge Challenger Demon, but somehow it’s claimed the 3300 serial number. Officially, there were only 3300 Dodge Demon’s built, so it should stand to sense that the last one built is numbered 3300?? 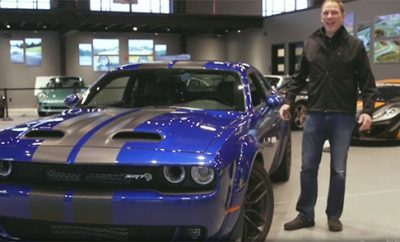 Without an official explanation from Dodge, the reason why the white Challenger has the number 3300 is now down to speculation. Was the Dodge numbering system simply messed up and two vehicles accidentally got the 3300 of 3300 moniker? Did the final production number of 3300 not include preproduction vehicles? 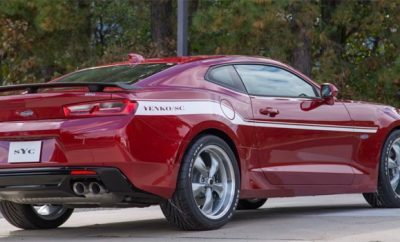 The final official VIN number of 2C3CDZH97JH103314 as per the Barrett Jackson listing could imply there are 14 other Dodge Demons built which we don’t know about. 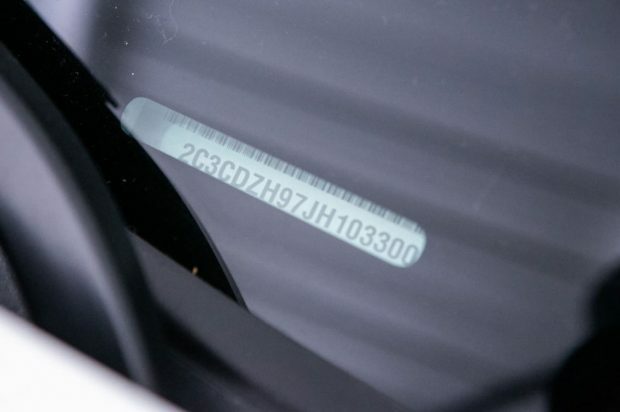 Numbering of vehicles doesn’t always follow a consecutive sequence, as what’s happened many times in the past, but you would kind of expect these days even for simplicity’s sake, consecutively sequencing the numbers of cars. The white Demon, which has a VIN number of – 2C3CDZH97JH103300 doesn’t seem to have any shenanigans going on with VIN number fixing and is numbered 3300, but it’s not the last Dodge Demon to roll off the production line. Some back history on this white Demon would clarify things. It’s likely that more information will come out on this matter, so stay tuned….